Germany – Philips Lighting is celebrating its Entertainment division's most successful Prolight + Sound show to date. 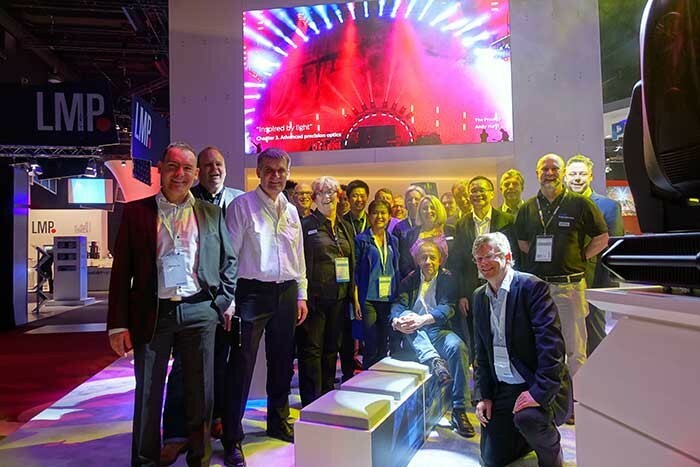 With a record number of on stand visitors, the Entertainment team is crediting Prolight + Sound's new concept and location in the Eastern section of the Messe for the boost. "We really saw a noticeable increase in visitors to our stand from previous years," says Philips Entertainment general manager Grant Bales-Smith. "The show's new set-up, along with our completely new stand concept, worked well to highlight to visitors our fresh and original approach." Philips Lighting opted to theme its stand 'inspired by light', with a large video screen displaying stunning imagery of natural light. Lighting designer Mark Wynn-Edwards created a range of looks that worked with the video to fully immerse visitors in the experience and demonstrate how Philips understands and is inspired by light. "I wanted to create certain environments on stand that mirrored the natural scenes on screen," explains Wynn-Edwards. "At one point the walls of the stand were a bubbling blue like the sides of a water tank, whilst the floor evoked shimmering water. I used all the colours you'd see looking up from the bottom of a pool at the sun and seeing the refraction of light." 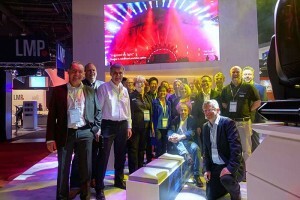 Wynn-Edwards utilised the colous and dynamic gobos of the brand new Philips Showline SL Hydrus 350, which previewed at the show, to enhance the immersive feel. Alongside this, he pixel-mapped Philips Showline SL Punchlite 220 and SL Strip 10IP luminaires to the video content. This meant the base colour of the stand continually transformed to match the base colour of the imagery on screen. 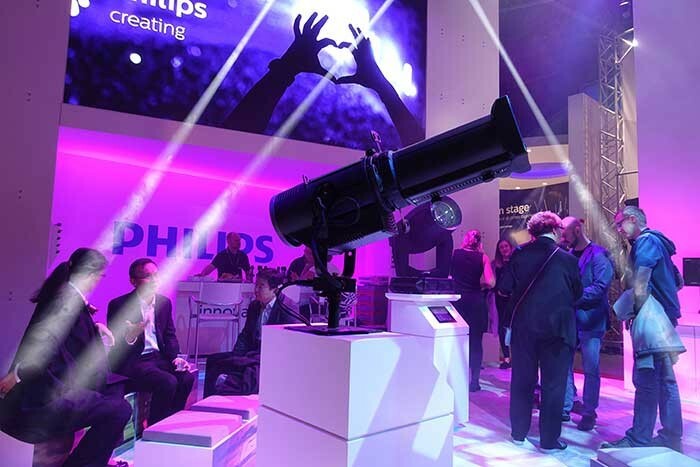 In addition, Wynn-Edwards employed the improved Philips Selecon PLprofile1 MK II to light different areas of the stand. 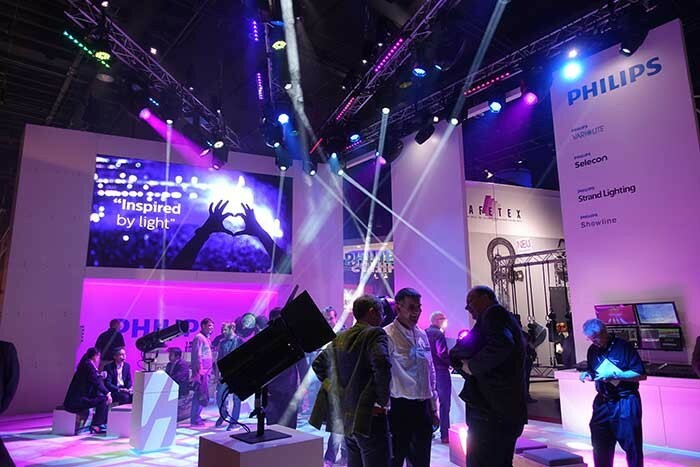 His design demonstrated the true colour rendering and smooth dimming offered across the range of Philips products, including the refreshed PLprofile4 MK II luminaire, which launched at the show. "We were delighted to see an incredibly high level of interest in our new products, especially the SL Hydrus 350," says Martin Palmer, Philips Entertainment product segment manager. "Visitors seemed intrigued by its super bright output and yet small and tourable size, with one customer so impressed we took an on-stand pre-order of the product. We look forward to seeing how it takes off when it becomes officially available in the next few weeks." Philips Lighting also hosted a gala dinner on the Wednesday evening of the show, which saw more than 100 of its valued partners and customers in attendance. "Prolight + Sound provides a fantastic platform for us to reconnect with our international partners," says Bales-Smith. "It is definitely one of the most important exhibitions in the industry calendar and one we will continue to be a part of."